Week of Wellness Event! RSVP TODAY! Don’t Miss this Week of FREE Samples! I’m excited to share with you that Week of Wellness is officially here! The #WeekOfWellness Event will be running from June 13-16th but you can RSVP TODAY. There are amazing brands you won’t want to miss during this week long event hosted by me, fellow bloggers & Sampler. We all want to help you discover these awesome wellness brands. There are many products in the sampling events, and many Flash Giveaways to be claimed! Sampler allows you to send product samples to friends. Your friends will love receiving new samples and your friends in return can send those samples to you; aka “buddy up”. For example, myself & my sister buddy up; we each follow along on the calendar provided to us to see when samples launch and then we send each other samples! You can then share more samples with other friends to spread the #WeekOfWellness LOVE! First things first, RSVP! 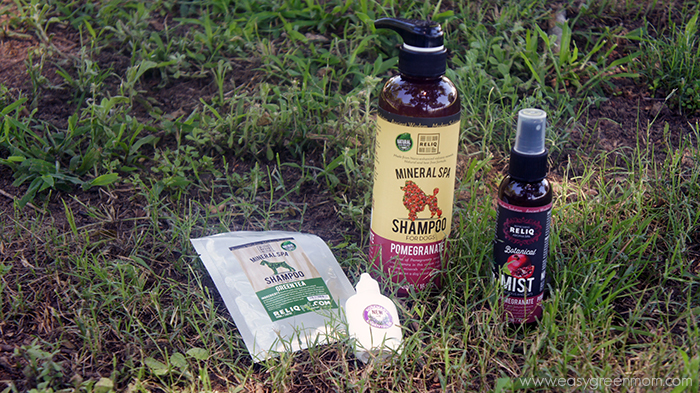 It’s really easy and by RSVPing you will be eligible to WIN a gift basket grand prize giveaway filled with goodies from our wellness sampling brands (See brands below)! Also, by RSVP’ing you will get access to the official Week of Wellness event calendar that will tell you the EXACT times (EST), day, & which company is launching samples. When samples launch simply go to their Facebook page and follow the link to send the samples! Where talking about FREE samples and flash GIVEAWAYS!!! You can only register once; so make sure to RSVP for the event right NOW! After “RSVP’ing” you will receive exclusive access to the calendar and will have a chance to “Wish For” the product samples you would like to receive. You can share your wishes on 4 different social media channels including Facebook, Twitter, Google+ and Pinterest. This lets your friends and family know what #WOW event products you would really like to receive. Again, I highly recommend getting a buddy for this event; this way you can grant each other’s wishes for the sampler. During this week long Week Of Wellness Event, you’ll see some of your favorite bloggers hosting Flash Giveaways on Facebook. Along with me, you’ll want to be sure to follow Crunchy Beach Mama, Game On Mom, Lindsey Blogs, Obviously Marvelous, Powercakes, Simply Being Mom and What’s That Smell on Facebook because we’ll each have an amazing Flash Giveaway during this Week of Wellness. We will be directing you to when and where to participate in all the Flash giveaways. So be sure to keep an eye on my Facebook page so you don’t miss out on the wonderful brands and prizes up for grabs! Add flavor to you cooking with All Natural and Organic spices from The Spice Hunter! They offer seasonings, extracts, and mixes for the passionate cook. I have been using The Spice Hunter organic spices for years and have always been happy with the quality. 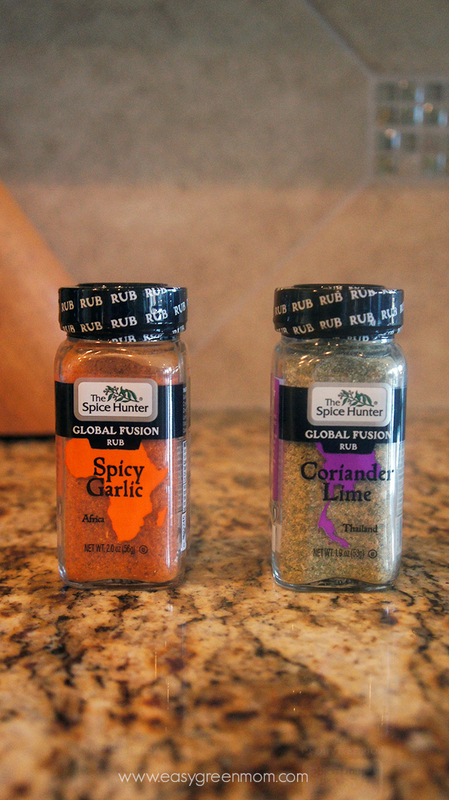 I was excited to try their Coriander Lime and Spicy Garlic Global Fusion Rubs! 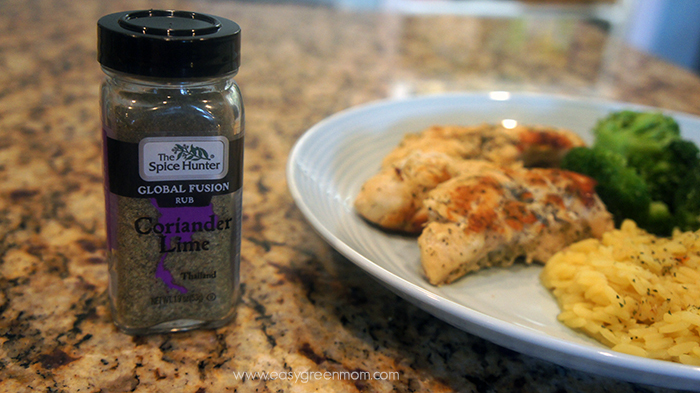 The Coriander Lime Global Fusion Rub was just delicious on chicken and added great flavor and color to the rice I served with it. The Spice Hunter produces an extensive line of all-natural herbs, spices, salt free and sea salt blends, grilling spices, and organic spice varieties, as well as, convenient gourmet foods including instant soups, seasonal beverages mixes and Turkey Brine. Begin Your Spice Journey and Add The Spice Hunter to your Wish List here. 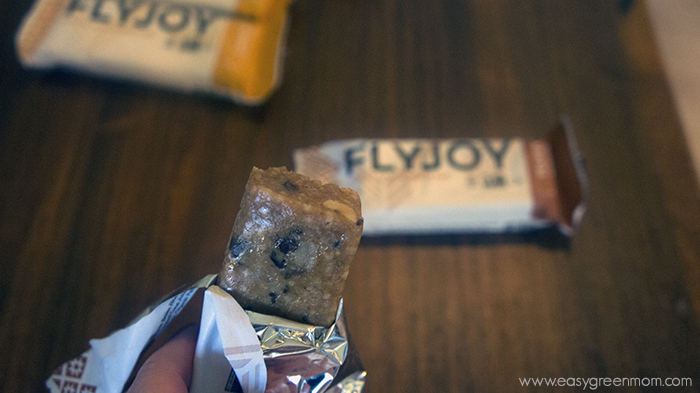 If you are looking for a way to refuel on the fly with a healthy boost from ancient grains then you need to try FLYJOY‘S quinoa energy bars. They are gluten-free, non-GMO, and made with all natural ingredients and did I forget to mention YUMMY! Each FLYJOY bar contains a mix of protein, fiber, carbs and Omega3’s for balanced nutrition and sustained energy, giving your body the fuel it needs to live life to the fullest! 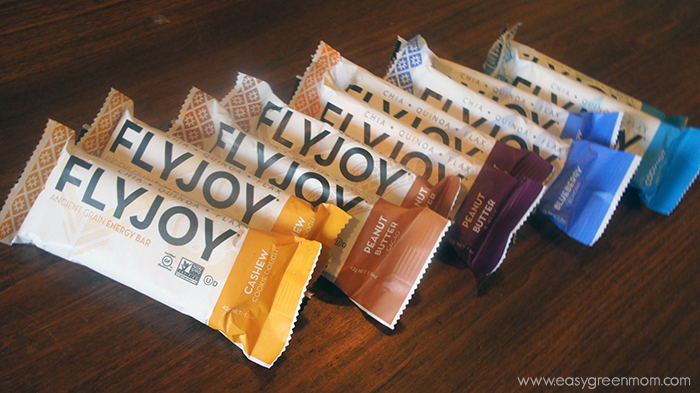 My husband and I really loved all the bars from FLYJOY and will be adding them to our pantry’s snack shelf! 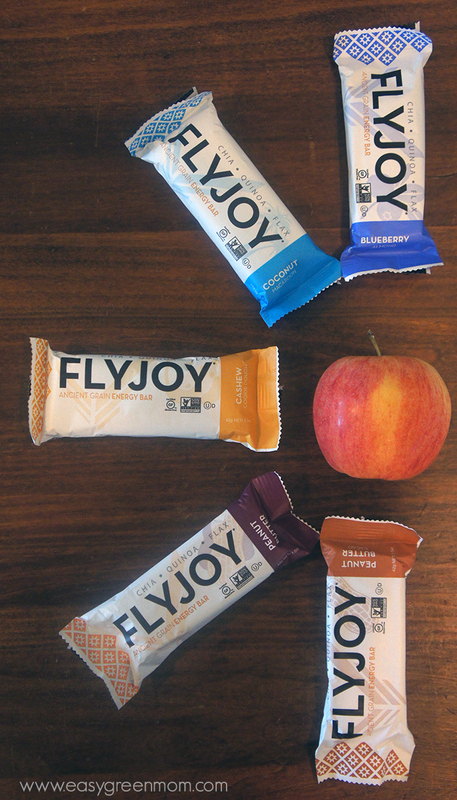 FLYJOY bars are all natural, certified gluten-free, non-GMO verified, kosher certified and vegan. Add FLYJOY to your Wish List here. 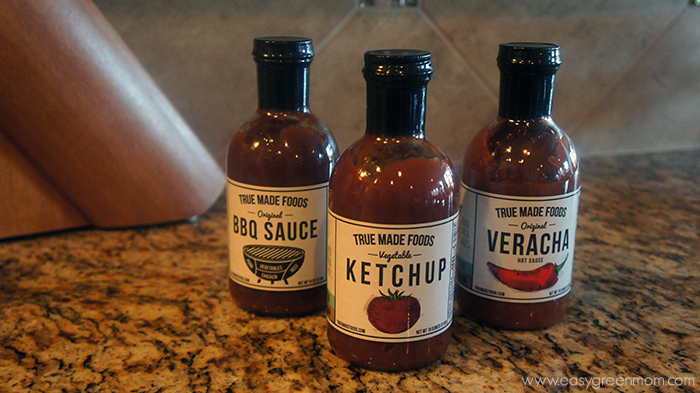 True Made Foods makes a healthier ketchup that is infused with vegetables. 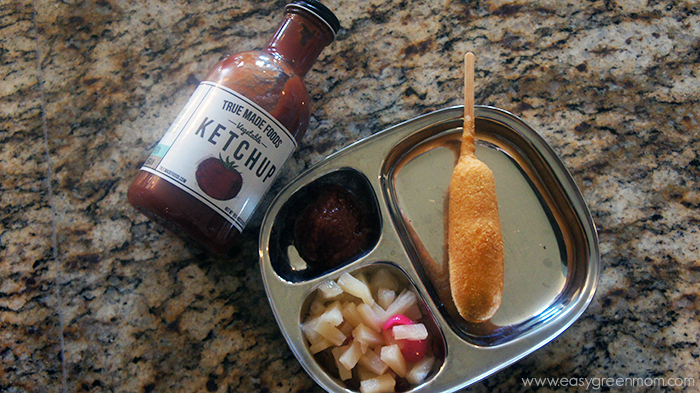 Also, it taste amazing, my 6 year old ketchup expert approved! 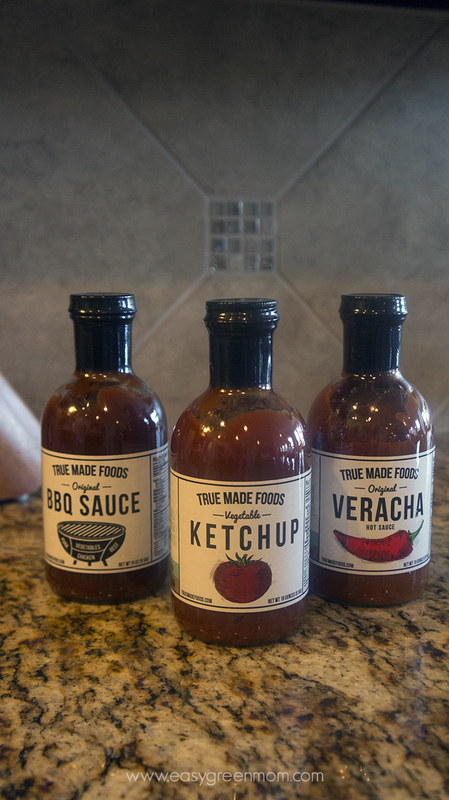 True Made Foods also makes a BBQ Sauce and Veracha Hot Sauce; both are a tasty healthy alternative to traditional sauces. True Made Foods uses fresh vegetables to naturally sweeten their products and drastically cuts back on added sugar, providing you with a tasty healthy alternative. True Made Foods provides a better options that both taste better and are better for you! You will definitely want to add True Made Foods to your wish list, go here. Wiley’s Finest Wild Alaskan Fish Oils is a family owned and operated cGMP Fish Oil facility in the heart of the Midwest. Their products are made from certified sustainable, concentrated Wild Alaskan Fish Oil, caught by American fishermen and concentrated by American workers at their family owned & operated plant in eastern Ohio. I had the opportunity to try their best selling product Peak EPA. Peak EPA is purified and concentrated to provide a Peak dose of EPA in every softgel. 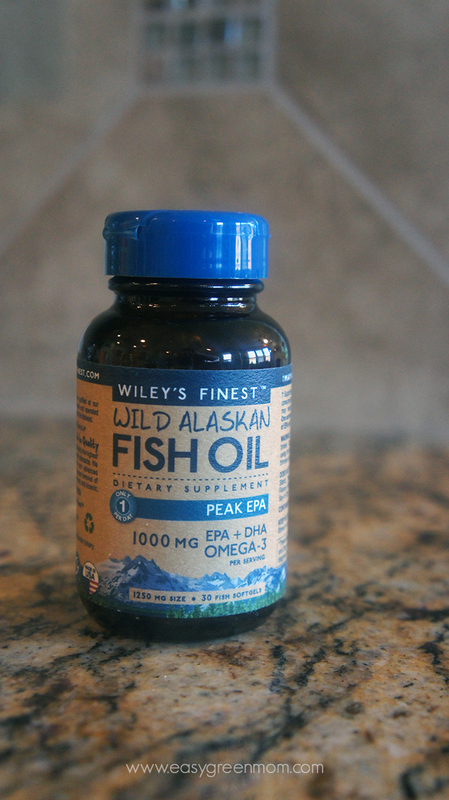 Wiley’s Finest Wild Alaskan Fish Oils offers high potency, affrodable omega-3 products for the whole family! Their products are MSC Certified for sustainability as well as IFOS and MSF certified for quality. 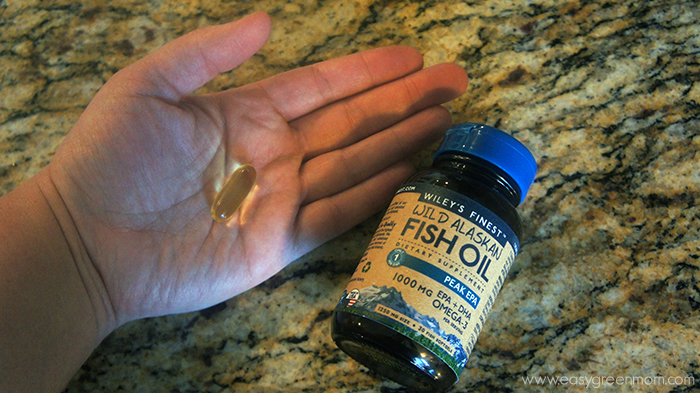 Add Wiley’s Finest Wild Alaskan Fish Oil to your Wish List here. 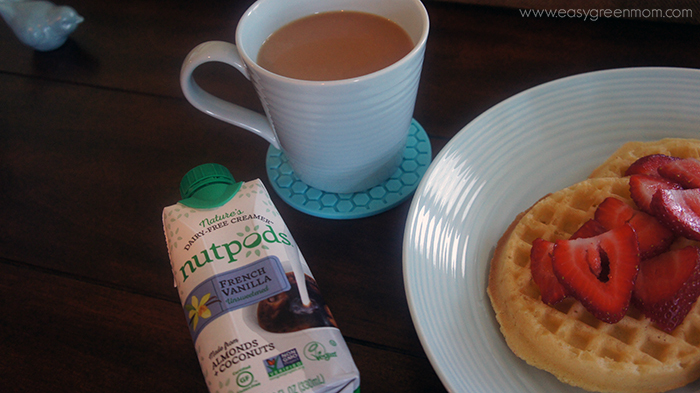 Coffee lovers searching for a a wholesome, dairy-free coffee creamer look no more! 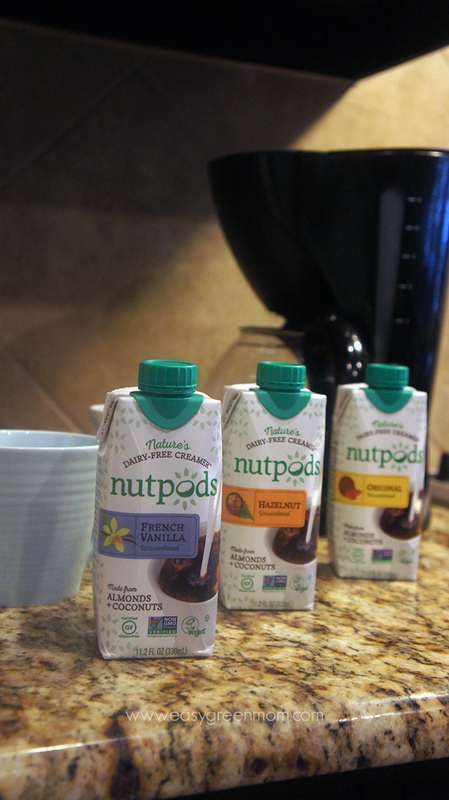 nutpods is made from wholesome almonds and coconuts, it is nutty and is delicious! 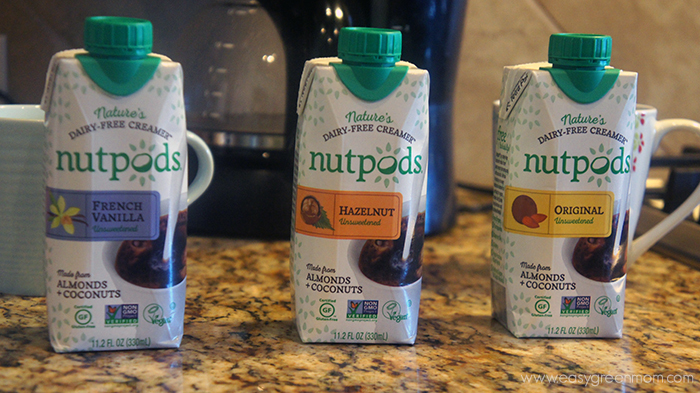 nutpods was born out of founder Madeline Haydon’s impatience for a wholesome dairy-free creamer that had the richness and creaminess of half & half. For years, she waited for a company, any company, to develop this type of product – without carrageenan or the “usual suspects” of titanium dioxide, mono and diglycerides, hydrogenated/partially hydrogenated oils. Carefully crafted to be wholesomely delicious and developed to give you the freedom to choose your own sweetness level, enjoy the rich creaminess that come from MCT-rich coconuts and the balanced taste with heart-healthy almonds. All nutpods products are free from GMOs, soy, dairy, gluten and artificial flavors/colors. You will want to add nutpods to your Wish List here. Obrigado USA is 100% pure coconut water. They never add sugar or preservatives, or use GMOs. Obrigado USA is never from concentrate. 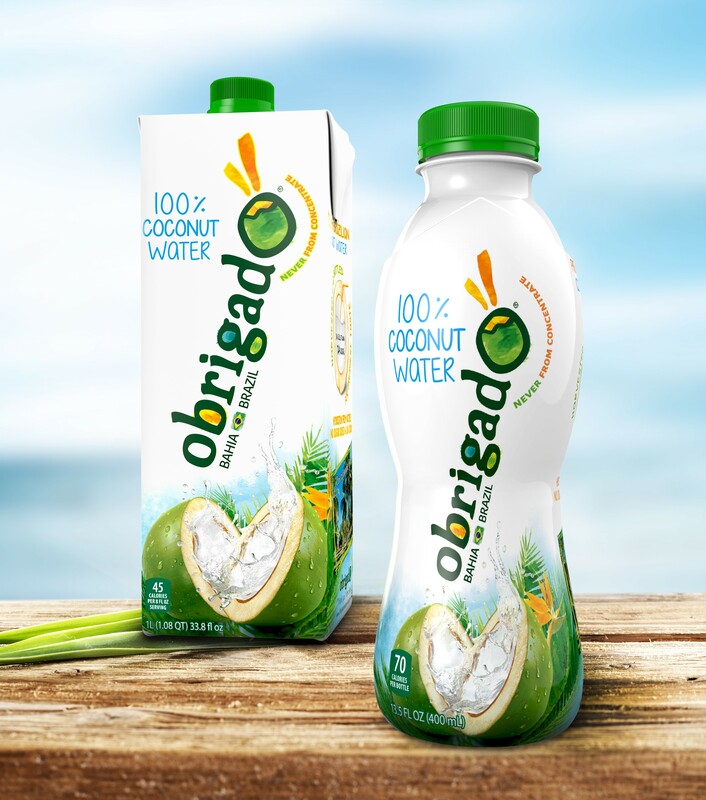 Obrigado USA is made specially so when you open a bottle of Obrigado USA premium 100% coconut water, it tastes like you’re drinking straight from the coconut. Premium 100% Coconut Water from Bahia, Brazil. Add Obrigado USA to your Wish List here. Pet owners looking for an effective natural pet cleaner and odor eliminator need to check out RELIQ PET. RELIQ PET line was created after discovering a special mineral found in volcanic regions. Combining this mineral with cutting edge nanotechnology enables the products to be extremely effective in cleaning pet’s skin and coat as well as follicle maintenance. RELIQ PET products will have your pet smelling good for 7-14 days, or maybe longer depending on the breed. This is because RELIQ eliminates the root of the odor, and does not just mask it. My brother is going to try it on his bulldog, Kal-el! 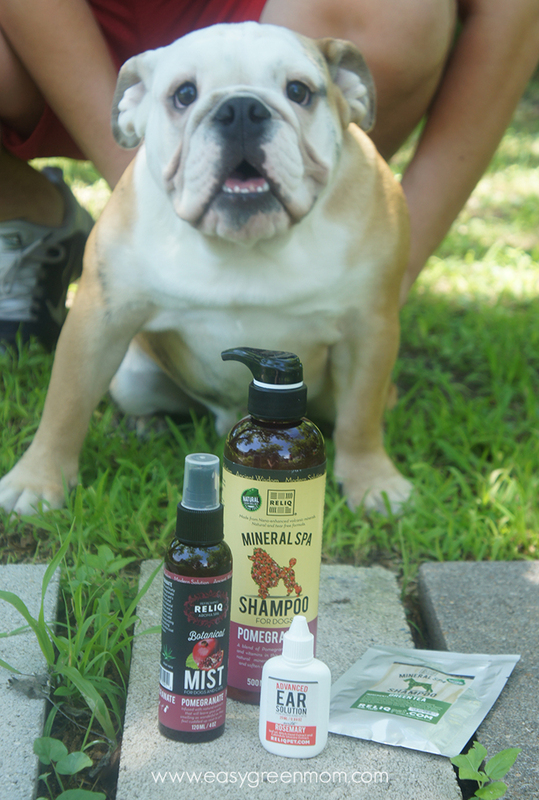 He was really excited to try out a natural product for his 4 legged loved one! At RELIQ, healthy skin and a beautiful coat is their number one priority for your pet, and they are committed to bringing you a new, revolutionary way to achieve these goals. 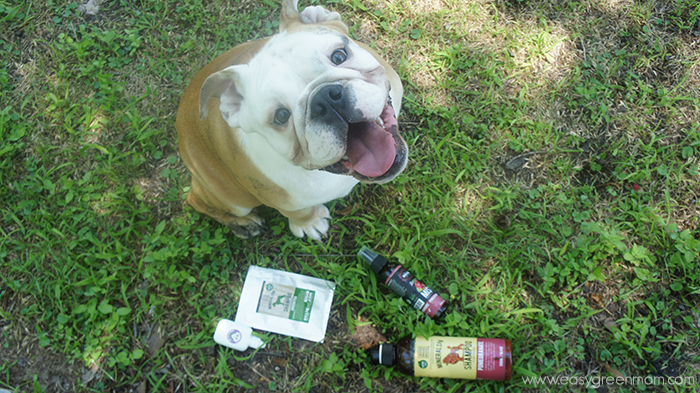 RELIQ PET is a natural, instant odor eliminator! Add RELIQ PET to your Wish List here. Two brands that I did not sample will be part of the Week Of Wellness Sampler Event: Numi Organic Tea so be sure to add them to your Wish right here and Vitafive can be added to your Wish List here. 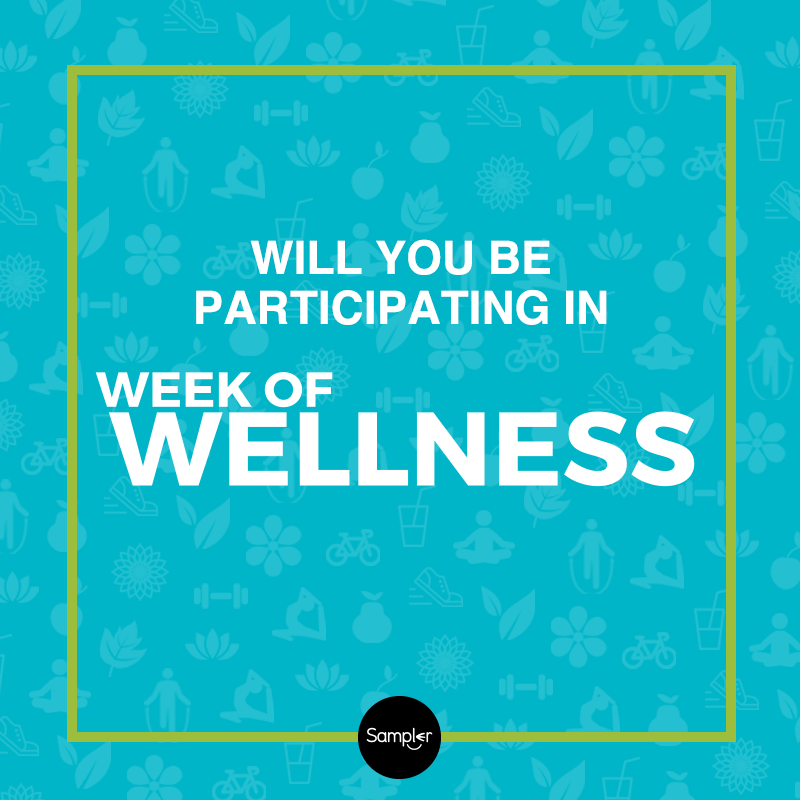 Be sure to keep up with me on Social Media during this #WeekOfWellness Event so you don’t miss a Sampler!